When students enter school, they don’t leave part of themselves at the door. Instead, students walk into class carrying their cultural and community values with them. They bring pressures of social expectations and continue to feel the influence of poverty, prejudice, and inequity. These out-of-school influences and environmental factors play significant roles in adolescents’ mindsets about learning, their motivation to learn, and their behaviors in schools. Recent findings from neuroscience, cognitive science, and psychological research provide a more in–depth understanding of why school culture matters for each student and why it especially is important for adolescent students to learn in environments that are safe, supportive, and culturally responsive. how school leaders and educators help combat the effects of inequality, bias, and discrimination​. The webinar also reviewed findings from All4Ed’s third report on the science of adolescent learning, Valuing Culture, Experiences, and Environments, which includes recommendations for how educators, policymakers, and advocates can support adolescents’ academic, social, emotional, physical, and health needs. 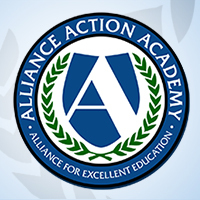 The Alliance for Excellent Education (All4Ed) is a Washington, DC–based national policy, practice, and advocacy organization dedicated to ensuring that all students, particularly those underperforming and those historically underserved, graduate from high school ready for success in college, work, and citizenship. High School Soup blog (all4ed.org/blog). Winsome Waite:Hello. I am Winsome Waite, Vice President of Practice here at the Alliance for Excellent Education. Thank you for joining us today as we talk to Dr. Yvette Jackson, Dr. Deborah Delisle, and Robyn Harper about All4Ed’s report on the science of adolescent learning entitled “Valuing Culture, Experiences, and Environments”. This report is part of a series that translates adolescent learning and development research for policymaker and practitioner audiences to better inform and influence their work. I would like to begin by introducing our guests for today; Deb, Yvette, and Robin. Dr. Deb Delisle is president and CEO of the Alliance for Excellent Education. During her more than 30 years in education, she has served in a variety of roles at the local, state, and federal levels. Prior to her current position with All4Ed, Dr. Delisle served as executive director and CEO of the Association for Supervision and Curriculum Development or ASCD. It is a professional community of more than 120,000 education professionals around the world. Deb also served as US assistant secretary of elementary and secondary education from 2012 to 2015. During that time, she played a pivotal role in policy and education management issues from prekindergarten through secondary education. Dr. Delisle also served as Ohio’s 35th state superintendent of public instruction. And prior to that, was a superintendent of Cleveland Heights, University Heights City School District. In honor of her lifetime of service to students, a school was named after Dr. Delisle. And in July 2014, she was identified by the National Journal as one of five women in America who influences and shapes national education policy. Welcome, Dr. Delisle. And Dr. Yvette Jackson is an internationally-recognized author and educator with expertise in the learning potential of disenfranchised students, particularly those in urban areas. She applies her knowledge of neuroscience, gifted education, literacy, and the cognitive mediation theory to develop integrative processes in education. This helps to engage and elicit high intellectual performances from students who are most in need of her support. She’s the author of many books, including The Pedagogy of Confidence, and her newest book Mindfulness Practices. Currently, Dr. Jackson serves as adjunct professor at Teacher’s College at Columbia University and also senior scholar at the National Urban Alliance for Effective Education, where she previously served as their CEO. Glad to have you, Dr. Jackson. Winsome Waite:We’re also joined by Robyn Harper. And Robyn is a policy and advocacy associate here at All4Ed. She’s content developer for the Science of Adolescent Learning program, and lead author of the report we’re discussing today. Thanks for joining us, Robyn. Winsome Waite:And now a few details before we dive into today’s topic. Please join us in the conversation via Twitter using our hashtag science4learning. You can also ask questions using the box below this video window. And today’s event will be archived at All4Ed dot-org/webinars. Now, let’s get started. 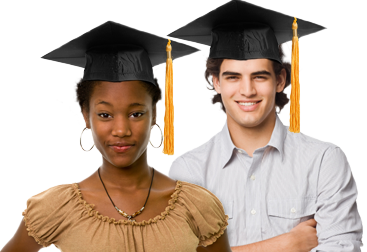 At All4Ed, our mission is to ensure that every student graduates from high school prepared for success in postsecondary learning and in life. To make this happen, we need to effectively capitalize on the expertise of researchers, policymakers, and practitioners through aligned efforts. Through its adolescent learning program, All4Ed is working to connect these three areas of work: research, practice, and policy. All work is centered on effective implementation of research that advances educational outcomes for all students, and closes opportunity and learning gaps. With the help of researchers, and other experts, we developed 20 principles of adolescent learning and development. They’re called The Conesus Statements, which we have expanded upon in a four-report series. These reports provide the first level of translation on our work in the Science of Adolescent Learning. Robyn, can you tell us about the report Cultural Experiences and Environment? Robyn Harper:Thanks, Winsome. Of course. So the third report in our series focuses on six of the 20 signs of adolescent learning Consensus Statements. This is the third of our four-part Science of Adolescent Learning report series, where All4Ed unpacks critical adolescent learning and development research, and connects those findings for policy and practice. Report three specifically covers topic such as why culture matters in education, where we dispel a few misconceptions about what culture is and how it affects human learning. Connecting school environments to broader context, which discusses where schools sit in broader learning environments and how school culture and society interact to support adolescent learning. Of course, the report discusses the influence of technology and what it means for educators. In addition to topics like how stress affects learning and development, poverty, and socioeconomic status, and the effects of inequality, bias, and discrimination, which highlight why and how the stressful experiences disproportionately experienced by historically underserved and other marginalized student populations affect their learning and must be addressed if we seek to achieve equity in our education system. The report summarizes key findings from neuroscience, cognitive science, and psychological research, and provides a more in-depth understanding of why school culture matters for every student, as well as why it is especially important for adolescent students to learn in environments that are safe, supportive, age-appropriate, and culturally responsive. While the report provides specific information on each of the topics I mentioned before, if I had to provide key takeaways for our audience and readers, it would be these. One, as adolescents continue to develop their own identities among a number of dimensions, and seek to understand the complex social systems and societies around them, educators and leaders must ensure that adolescent learning environment connect meaningfully to their cultural values and community experiences. In other words, adolescent identity development includes understanding the complex social environments around them, and how they operate within those environments. Educators are not teaching within a vacuum. Connecting academic experiences to cultural and community values is essential for meaningful adolescent learning. The next key takeaway is about stress and its relationship to learning. When the brain reacts to stress, it can reduce an individual’s capacity to remember concepts and adapt to social situations such as confrontations effectively. Stress affects the learning of adolescent, in particular, because the brain structures involved in stress regulation are still developing. If we want adolescents to learn effectively, educators must be equipped to support adolescent in managing their stress with the understanding that adolescents are not experiencing stress in the same way that adults do. Which leads us to our third takeaway. All adolescents experience stress, but historically–underserved and marginalized students, such as students of color, and students from low income families often experience additional learning obstacles as a result of stressful experiences related to poverty and inequity. However, discrimination, bias, microaggressions and stereotype threat can also affect the learning and outcomes of historically-underserved students regardless of their socioeconomic status or academic ability. Multiple environment factors, such as community values and social expectations, influence classrooms, schools, and student learning, and adolescent learning environments are still evolving. Today, learning environments also include online social context, as technology is being used, increasingly, to build relationships. Winsome Waite:Thank you, Robyn. Now, Dr. Jackson, I’d like to turn to you and ask you’d to discuss your work in your science and the adolescence period, talking about the students beliefs, feelings of belonging, personal value and agency. And these are all major themes in our work here in the Science of Adolescent Learning. Winsome Waite:So over to you. Yvette Jackson:Okay. First of all, I want to thank you for the opportunity. Second of all, the reports are fabulous. Yvette Jackson:I’ve gotta tell you to be able to go through them and make the intersections, not only with my work but with reality, and something that educators can read and make applicable, I thank you for that. Yvette Jackson:So what I thought I would do is share some slides with you that make those points of intersection real. And I want to frame this by saying that my work was originally in gifted education, and I went into gifted education to see what is it that we do for those students when they are labeled as gifted that we should, in fact, be doing for everybody. So I’m gonna start with the slides here and say that’s where I come up with this idea that if you’re going to talk about equity consciousness, then think about it in terms of gifting. That idea of gifting all students with support to elicit and nature a potential for self-actualization and contribution. In other words, what we’re saying is not enough in urban areas to say we’re going to look at literacy and see if two or three points of growth have happened. This is really about getting to self-actualization, and the contribution that these students are capable of making. In other words, how do we value them? Where do we go and who really focus on? That takes us to this idea of self-determination. We want our students, and adolescents, particularly, because this is the time where they’re really trying out how do I fit into this world, and what can I know about myself more that allows me to decide how I can literally make contributions. More than that, it gets to us, as the educators, to say how do we help these students thrive and flourish in the world? Again, not just in the school setting but so that they can go out and transform, not only themselves, but the world. That’s where we’re going. And that’s why I keep making this correlation to gifted education because we’re talking about not labeling but saying what do we know the best practices are for eliciting that kind of ability. So that’s where I’m gonna get a little bit more specific about optimizing adolescent development. But there are really four critical catalyst, and a lot of them, all four of them, in fact, are in the reports that the alliance have put together. But let’s go through them. The first one and the most critical is belief. We have got to believe that all of our students are born with innate potential for high levels of performance. Not in every single thing that they do, but nobody was born to be excellent at everything. But the idea is how do we get our students to bring forward those kinds of things that are the most important to them, how they can thrive and flourish. That happens when we not only believe in them, but get them to believe in themselves. And how do they know about belief? They know by what we offer them. Do we ask them to really face the challenge, and then have the support to address that challenge. That’s the belief that I’m talking about. The other critical catalyst is belonging. How do students feel that they fit into a situation, into the school where they see themselves. And I’m not talking about pictures of different ethnicity around the building. I’m saying that the culture of the school represents who they are, and they have contributed to building that culture. When you have belonging, you have personal value. These students want to feel that they are not just sitting in a class but they are there because they are valued. And the last thing is this whole idea of agency, giving them a voice. Student voice, not by just filling in surveys, but how are they going to make an impact in the school, bring their lives into the school in terms of what they have to offer. That becomes really critical. So these four catalysts are what should drive our work. That’s what should drive the vision for how we’re going to not only move and optimize adolescent development, but this idea of the best equity. How do we move forward? So I’m gonna start by talking a little bit more about where does culture fit into this. Well, I just talked about belonging and feeling a sense of belonging means that you feel you belong to that culture. So what is that? So I have a frame here because it is culture that frames our perceptions. It frames how we see the world, but it also frames how we can make connections to each other and to what we are learning. What we are learning really comes through this idea of cognition, how do we make meaning. Culture has the most important impact on cognitive development. And during adolescence, we’re talking about what Peashay would talk about, which we’ll call formal operations. The kinds of things that allow adolescents to move into not only abstract understandings, but to think and move dialogically. Seeing from somebody else’s position having moved forward in the world. Culture affects that. And the last is the idea of language. There is a language that’s not only associated with culture. And when I say that, I mean how do we communicate, but that whole idea of the impact of language on cognition. So culture, language, and cognition are really critical to what we’re saying we need to be focusing on for helping our students, especially adolescents, move through the learning experience. I like to bring this up be Vygotsky was a person who really first looked at the impact of culture on learning. And it’s interesting because people are just thinking – now so many educators will say, well, now that we’re gonna talk about culturally responsive learning, we must be talking about children of color. And, no, that’s not right. What we’re really talking about is all of us move through our development, our cognitive development through the idea of culture. And that’s what Vygotsky talked about so long ago because it is that culture that engages us. It is that culture that makes us feel that we are valued. And that’s why we say how do we make the connections to culture so students feel that they belong? Here we have what I was talking about in terms of the formal operations, and I just share that because if you looked at the left, where it says HIP, that stands for high-intellectual performance. Again, with our adolescents, we want to bring them to the front tier of their intelligence. And how do we do that? We focus, again, on that frame of culture making it connected for those students so they can think these higher levels, so they can do analogies/similes. They can hypothesize. They can theorize. And, by the way, they do that all the time anyway. It’s how they do it that’s connected to academics that becomes what our role as adolescent mediators are, and how we move through that transition with them. So I want to show you how we use that idea of that culturally frame of reference so when we work in school districts, we have students – and teachers because, remember, what we’re trying to do is co–align student frame of references with teacher frames of references. And when they’re no coaligned, that’s where, sometimes, cognitive dysfunctions happen because there’s not that frame to make the connection. So what we do is have students create a frame of reference and put within – and teachers put within that frame, what are those things that are most meaningful and relevant to them that affect how they see the world, whether it’s religious, whether it’s geographic, whether it’s age, which adolescents have their own very special culture, which we’ll talk more about. But if you look at the other side of the screen, what you’ll see are some examples, and I know you cannot read the words but it’s how we have students and teachers put their ideas about their cultural references together so they can see how they connect so teachers can now make better connections for them. So let’s talk about why there are barriers to adolescent intellectual and social development. Well, it really goes back to what we really just talked about. When they are no connections or limited connections to the cultural frame of reference, that is a number one barrier. There are other barriers that, really, Robyn mentioned in terms of making the connections to the report. The connections that are things that affect the stress in adolescents. Like when we talk about adverse childhood experiences, how many of our students are sitting with us, coming to us, with these kind of experiences. What are they? Not only things that happen in the homes or in the community, but stress-related to how students deal with stereotype and racism in schools, that is very adverse. And we could go on and on. Or the idea of looking at the stress related to post-traumatic stress disorder. For many of our children who are in urban areas, it’s not post. They are living in stress all of the time. So what does this affect? It reduces blood flow, the idea of stress. What does that have to do with the learning? Well, that’s gets us to how it gets depressed, the learning. What does that mean more? Their memory is really very much affected. The idea of the language development. The idea of executive functions, higher order thinking skills. All of these things are affected by stress, the decision making, the problem-solving. And why is this so important? Because when we look at the other side of this, we’re talking about performance in school that is really affected in terms of how they even see themselves. There we go. Intellectual development gets affected. Their creativity, but most critically, their confidence. And that brings us to, as I’m closing down, so how do we mitigate for these things that become so stressful for students? That got me into writing into this book, which I call Pedagogy of Confidence. Pedagogy of Confidence is the fearless belief that all students have the innate potential for high intellectual performances, and so do their teachers with whom they depend so much. And so the confidence is not only the confidence of the students but the confidence of the teachers. And these are the high operational practices, which really come from research; the research that says how do we push students, as I said, to the front tier? Now, why this is so important, especially in our work with students of color is because where we have to start is by identifying and activating their strengths. We are so caught up in this idea of deficit thinking, looking for where students are weak that we forget that they all come with this incredible ability for high levels of thinking. But the students don’t even believe it because people are not asking them to identify what you’re good at. And, by the way, once they get into that cultural phenomenon of identifying their strengths, that’s how you build relationships. Because if a student believes that you’re asking them about their strengths, what they believe is you believe in them. That whole idea of nurturing high intellectual performance as the target. Adolescents, especially, love challenge; they love to be pushed, but they want to know that they have the supports to get there. That idea of providing enrichments, how can they build their frame of reference to more developed different interests to more connect to the work. The idea of incorporating prerequisites. What is that students need so when teachers are starting new lessons, they feel they’ve got it. Importantly, how do we situate the learning in their lives so they feel that there is connection, and the idea of amplifying and their voice becomes critical. So, in that, I just want to really push this idea a little bit more of identifying and activating student strengths. We have just there, this picture of a neuron. Why do I build that and show that? Because adolescents are craving for the intersections of neurons to get fired. They’re craving to be pushed, as I said. They have this myelin sheath that actually covers the axon on the neurons to strengthen their thinking. But how does that myelin sheath get developed and where does that come to us, as the educators. The more we connect to student strengths, and the learning – prior learning experiences, we really strengthen the phenomenon of the connection across the neurons. That’s why we build on strengths. Just leaving, again, that idea of why building relationships are so important. Because when we get back to that idea of connection, and we get to those strengths – I’m gonna go back here to the idea of the frame, culture, and we connect to others in our teaching and learning environment, it shows us where we belong. It brings up the idea of empathy, commonalities, universalities in relationship and belonging. Even though we call it student voice, it really should be called student agency. How do we get students – what you see in this picture are students and teachers going through shared professional development. When we are talking about how the brain learns, why aren’t students and teachers learning that together, especially the neuroscience of it when that could develop a new language that brings students and teachers closer together. And after that experience, when teachers and students are doing P.D. together, what you see up in the corner is students actually teaching lessons to adults. That’s incredible. That’s what we mean by amplifying your voice. That’s where adolescents become so critical in their maturation and their learning. Winsome Waite:That’s very important information. That really solidifies some of the we’re doing her at All4Ed in this space. Winsome Waite:No, let’s dive a little bit deeper into the report, and Yvette’s personation and discuss implications with the rest of the panel. I’m very glad to start my first question back out with you, Dr. Jackson, and then go to Dr. Delisle. But just before I do, thank you to the audience for sending in questions to us so I’ll be integrating some of their questions to you. Winsome Waite:But I do want to start with you Dr. Jackson. You integrate neuroscience and adolescents together. Winsome Waite:So why do you think – as for All4Ed, our focus is on equity, of course. Winsome Waite:And why do you think this neuroscience or Science of Adolescent Learning integrates itself so well with equity? Yvette Jackson:Well, you know, it’s so important to understand that it’s during adolescence that the idea of self-perception gets really concretized, right. Now, why is that important? Because how they see themselves really is very much based on how they’re treated within a situation. Equity is all about how do we support students so they see themselves valued and belong, and then these individuals, who have all of this potential. So in an equity situation, and with adolescents; adolescents really can be the bellwethers for what we’re doing because they are a point of deep reasoning. They create this theory of mind that they start making inferences about how are people looking at them. We can call them attributional inferences. And how people are looking at them, they will make statements about that. So I want to share what I’m talking about a little bit more. What are they picking up in terms of the attributional factors. I talked earlier about this idea of the cultural frame of reference, but you see, for adolescents of color, it’s not just how they look through this frame to see the world, but it very much is how they think the world sees them. Now, where do you get these impressions? Because when there’s not a connection to them culturally and value in terms of that, they feel like they’re outsiders, that they’re disconnected, that they are limiting in what they can do. Where does that come from? Self-perceptions really affect that idea of the prefrontal cortex, where students are building their executive functions, their decision-making. But that is so affected by this idea of perceptions of deficit that they are made to feel. Now, where do they get that from? The lexicon that we use. And I cannot stress this more, and I hope educators, especially those in policy positions, will think even using terms like minatory – see, adolescents are reading the language, and they’re analyzing it and saying, wait, if you’re calling me a minority, that means less than because they reason that. If you’re calling me a lower achiever, then you don’t believe I have potential, and they know the term. And so, instead, why aren’t we saying they’re underachievers? With the right muscle-building, they can go much further, or disadvantaged, right, versus school-dependent. They’re depending on us or saying they have disabilities. What does that literally mean? Because then when they get labeled that way, it sounds like they’re disabled to do anything, and that’s so not the case. They have invariable learning. And the last is that pernicious label, the gap, that everybody says, oh, I’m addressing the gap. But you see, the problem with that is the gap is always looked at through a racial lens. So the more students feel that they are part of the gap, they’re thinking that you think that their strength is not an intellectual development. The other thing I want to say, one more term that’s not up there is subgroup. That makes me so crazy now when I’m working with school districts, and they, well, this is how we have the students in subgroups because we have to fill out these federal forms. Except that does sub mean? It means under. It means below. It means beneath. And what group are they below? You know so I could go on and on. But with adolescents, they are picking this up, and through that, they’re saying what I am worth? So I just want to share this as an example of what I’m talking on. So I do work in Newark, New Jersey, which is now the beacon of my love because of the emphasis that they’re putting on transformation around equity at all levels. But this was a few years ago. I was working with adolescents, and I said to them, okay, this is what I want you to do. We’re gonna focus on your strengths today. So we used what’s called a bubble map. This is one of the little girls, Tasha. There were 24. I say to them, I want you to fill out the bubble map with examples of your strengths. I get the sheets back, two minutes later, this is Tasha’s. There’s nothing in it. There’s nothing in it because she didn’t think she had any strengths. But she wasn’t alone. The problem was nobody had ever told them. So I go around 24 kids, and I say you know what? I’m gonna tell you strengths that I’ve seen you develop over this time. I told Tasha that she was very responsible. That’s all I said. I said, now, go back and do your maps. I just want you to see Tasha’s map after that. I mean, we don’t have to read through all of them, but that’s a big difference than having nothing. What had happened in five minutes was that I lifted the oppression. Okay. Now, they’re not oppressed anymore. And I’m not gonna read the whole thing but basically, after that, it’s not enough to identify strengths. How are you going to help students see how they’re strengths can make them personal leaders? Can make contributions? And basically what she talks about is the most important thing about being a leader is making sure that you help others be a leader one day. So I just share that with you because that idea of adolescents and equity, that’s what these students are saying, and they are inferring if you keep using remedial kinds of practices, you don’t think that I have the ability. And adolescents see right through that. Winsome Waite:Thank you, Dr. Jackson. So Dr. Delisle, we are so excited to have your level of expertise and your experience in education. Winsome Waite:And as our leader, I just want to ask your general thoughts and reactions to the work we’re doing in the Science of Adolescent Learning and the overall reactions to Yvette’s presentation. Deborah Delisle:So I just want to have you keep going on and on. [Laughter]. And just this is a total aside because I don’t think we’ve ever talked about this. So I had a huge epiphany when I self-selected to become a gifted – an educator of gifted students. And my thing was [crosstalk] – well, I thank you. Well, my direction was actually the same as yours. Like what are they doing in those programs that should be given for all kinds. Because I didn’t think that creative problem solving, for example, should be regulated to one self-selective kid. And that was just a strange example if I’m on a train and the train looks like it’s going to have a derailment, I don’t want to turn to – if Yvette is sitting near me, and say were you in a gifted program? I hope so. [Laughter]. Right. I wanted everybody to be engaged in creative problem solving so we have that connection. Deborah Delisle:But when you just listen to Dr. Jackson’s presentation it just sits at the heart of all the work that we’re doing here at the alliance within the science. And what’s the especially promising to me is that here is an organization who wants to and is very much interested in taking this essential research and translating that into practice. So for too long over my career, I’ve seen lots of folks who sit in two separate camp; those who conduct the research and just send it out expecting somebody is going to magically interpret it and enact in a classroom three days later. Or those folks to sit in a classroom and say I don’t know why we have to do this as well. And I see the alliance is bridging that. And it’s really not unlike, you know, a physician studies human development, obviously. And I don’t know that we have actually put enough emphasis on educators understanding brain development and then matching that up with appropriate instructional practices so that all kids could succeed. So I just see this as really important work to alliance. Winsome Waite:Great. I’m coming back to you then. Winsome Waite:And this is a hard question I picked out just for you because I know you can handle it and you can answer it just any way. But there are many pressing problems or challenges in our profession today, and so I’m gonna ask you what’s one. In this whole body of work, what is one pressing problem, especially in our middle and high schools, that adolescent period. We know it comes before and after, but mainly middle and high schoolers. If you had to pick one problem that you think the Science of Adolescent Learning could actually solve, not just for a day or a week, but really change the practice and polices within the education, what problem might that be? Deborah Delisle:Well, I have the perfect answer to that, and it may be out on the road, right, [laughter] [crosstalk] answer it. I think about this so often. I’m not gonna give the big umbrella of equity, but I want to narrow that down because I’m especially moved and just so heartfelt with Dr. Jackson’s presentation because I do think it’s a sense of belonging. I just really feel for all kids that they’re struggling to find their place in an increasingly complex world. And as Dr. Jackson was talking about the adolescents and especially around the language that we use with kids, or to kids, or with them or about them, I’m even struggling to find like what can we do even at the elementary grade so it doesn’t – we don’t wait for kids to be in deficit mode going into middle school and try to fix that. And kids get their sense of belonging right away. I’ve been a practitioner and I’ve seen kids come in and it’s the kid that doesn’t smell quite right, or the kid who has empty lunchbox, and they get treated right away to a different sense. And kids can place themselves, do I belong or do I not belong? And so we have to do everything in our power, in all of our talking points, to ensure that the relationship building is essential in schools. And in era where we become so obsessed with academic achievement scores, we lose that along the way. And kids are not going to learn, first of all, if their basic needs are taken care of, if they come to school hungry. But, more importantly, they’re not if we don’t understand how they develop socially and emotionally, if we don’t understand the science of adolescent learning, we’re never going to get to the heart of like how do I build an essential relationships, meaningful ones that really make a difference in the lives of kids. Winsome Waite:That is fabulous. Thank you, Dr. Delisle. This question is actually for the panel, all the panelist. It’s from a viewer in Washington D.C. And the viewer says, “Does culturally responsive teaching is only of value in improving academic outcomes or does it have value on its own?” I thought that was a really intriguing question for educators. Winsome Waite:Is it just for improving the academics as educators, that’s what we tend to feel we are responsible, or does it have a value on its own? So I’m gonna start with, you Yvette. Yvette Jackson:Okay. Sure. I will just go back to how I started the presentation, and that was the idea of culture very much affects how we become self-determining. Are we from a culture that is not only constructed or nurturing in terms of how we see ourselves as move forward, but, really, how is it that we’ve been made to add to that culture, to bring something to that culture? That has nothing really to do with academics on its first level. It has to do help with how we become these individuals, who will then manifest this kind of strength to be whatever it is we set out to be. So it’s about how we get students to the point of feeling strong about what they can contribute to society. So cultural relevance or responsiveness, yes, it has a big part in academics, but it has a big part to contributing to society, and that is what I think the base of our work is. Winsome Waite:That’s fabulous. So here’s another question, and it comes from UW Madison, actually. It’s a long question. The question really centers around the fact that education, today, seems to push academic outcomes and assessments, standardized assessments. And so I’m not gonna read the entire question but the main part of the question is it possible, Dr. Delisle, to create welcoming schools for all students when assessments get in the way? Deborah Delisle:Oh my gosh, absolutely [crosstalk]. I mean, I have seen it. You know, in one of my roles as the assistant secretary, I was able to, in a real fortunate way, and I’m so blessed to have been able to visit hundreds and hundreds and hundreds of classrooms across this country. And I have never walked into a school where a teacher says, you know what, today I’m gonna mess up some kid’s life, right. It’s the support that’s provided to those teachers. But where I have seen things really, really flourish is that there’s a whole culture of inclusivity that everyone matters when they walk in the school, that all those kids matter to every single adult in that school, no matter the role that they play. You know, I once saw this – a I assume it was meant as a cartoon in a PowerPoint presentation, and this person said when parents show up at the school house door, they expect the sign to say, “Welcome to ABC school where all kids will learn. But some of them shop in the school practices, “Welcome to ABC school, where some of your kids will learn. And all means all. So when I used to visit schools, I would always ask what essential question, which is this school good enough for my own kids? And if the answer to that was no, I believe it’s in our power and it’s our responsibility to be sure that school is OK for my kid, your kids, everyone’s kids. But the heart of the matter is the leader matters in that building. They said that the tone for the culture; the expectations. So when people say we want our families engaged, and they hand out a newsletter on Friday afternoon, that’s not engagement, right? But you feel it when you go into a school. My fear is that some people step away from really kind of listing as a priority the social and emotional needs of kids, the sense of belonging, the relationship–building because I don’t know how to measure it. And that’s unfortunate that we’ve gotten to a place in our education system that says everything has to be measured. And kids get it you know. Just to give one steadfast example on this. When I was in elementary school principal, and proficiency tests were first started in a state of Ohio, I had a student walk in my classroom, really a bright kid, and he was crying. And I was like Jonathan what’s the matter? And he said well the test is over. And I was thinking like, okay, you’re crying because you wanted to continue? No, his response was so perceptive. He said I know more than 45 minutes of vocabulary and reading. So he was looking at that learning or measurement in terms of not even just the score at the end, but also timeframe. And I said something else to him, and I can’t even member the exact question, but he looked back at me and said it didn’t even talk about the things that I’m really interested in. So, there, at a very early age, this child was learning that somebody else is predetermining what’s important to me, when, in fact, he needed to have a stake in that. He needed agency. Winsome Waite:Absolutely. Absolutely. Fabulous. What a great conversation. Thank you. I’m gonna wrap these two questions together. They are from the audience. One is actually from the Council for Strong America. The other is from a parent organization. The first one says, you know, “What is the best role for community leaders in this work,” and the second one says, “What are the most important practical ways we can involve parents?” So parents’ community around the Science of Adolescent Learning and the equity issues. So I’m gonna open that up to anyone on the panel to start. What’s the best way? Robyn Harper:Sure. I think one of the great things that comes from culturally responsive education is the involvement that naturally comes from the community and parents when they’re able to see themselves and their student’s work. I’m thinking about the rural town in the South that is trying to figure out, you know, I want my kid to succeed, I want them to go off to college, but I don’t want them to forget about us and the things that we established, those values that we really want to elevate in their lives. When the education, itself, is able to speak to those values, all the sudden, it becomes a team effort, both within and outside of the school. So I’m very excited to see, as Deb really eloquently said, how are we thinking about things that we just aren’t ready to measure yet, but that truly matter in the outcomes of students. So making sure that it’s not just the students, alone, saying I want to succeed. But we want their parents to also say, you know, I’m all for it. I want to be involved in school from elementary into middle school into high school because I understand why it matters to not only my child, but for my community, and for my family. Winsome Waite:That’s fabulous. Thank you, Robyn. Can you tell, she’s deep into this. [Laughter]. Deborah Delisle:She lives it every day. [Crosstalk]. Winsome Waite:Every day, right. So, Deb, I’m gonna turn back to you, and really ask you to maybe envision but also maybe to charge us, us, your staff, but also maybe the broader field, our viewers. This work that we do here is about really unpacking and understanding the Science of Learning, focusing on adolescents. But as we often talk about, we want to make sure it – we just don’t translate it and send it out, but that we follow it through to a place of action, both in policy and practice. That’s the big broad work. And so, as our leader, would you speak a bit about maybe those pathways, those opportunities to reach beyond the research to action in policy and practice, which will then reach deep into communities and into classrooms to change the lives of students. Deborah Delisle:So one of the things I would say is that what’s important to me, not just as the leader, but as a practitioner for 40+ years, is that translation of research into practice. And so one of the things I see that our charge is at the alliance is to bring to the forefront, how are those research pieces actually being enacted, and then lift those up so other people can see those. So as we think about practice and the intersection, I think alliance is really well positioned to be at that intersection, right. And what I would love for us to do even more is get the word out, and then help bridge that gap from the research to practice. And then in the future, be able to create a network of individuals who are heavily invested in this work to share from one another. Because we can’t assume that everyone knows how to do it perfectly, but there is also lessons to be learned from initiatives that don’t go the way we had planned, right. So we find strength in numbers across the country. And the more that we can lift up stories is really important. And I just have to say this. I am just so in awe – I’m going to be the president of your fan club, Dr. Jackson,. No, you are one of few people who I can truly say is a researcher, a deep thinker and has a deep analytical mind, but you’re in the schools doing the work. So you’re not just the sage on the stage telling people what to do to go forth on Monday morning, But you’re not only telling them what to do, you’re actually working with kids. And we find too many people who will just do the research and put it out there, and they assume that it works. They don’t know what it doesn’t. And I’m sure there are days you were like woah, woah, woah. Let me rethink this lesson. Deborah Delisle:Or how would somebody have reacted to this to the students had nothing in the bubbles, right. Maybe they just will go on. But you’re able to bridge that. So the more that we at the alliance can highlight individuals who are actually doing their own research, learning from other people’s research, and then practicing it and sharing that with us, that’s monumental. So I’m just excited about those possibilities. Yvette Jackson:And this is the place to do it. Winsome Waite:This is the place to do it. Thank you. So I am gonna ask for final thoughts from the panelists. But just before I do, a little reflection from me; Deb, I am part of her fan club. Because I do remember being in the district office and being a leader of school improvement in schools, and having Yvette coming in to support us in the work. It’s a long time ago, in 2000. Do you remember that? Winsome Waite:But being able to watch her before a fifth grade classroom demonstrating the work, it was unpacking nonfiction text, I remember that explicitly, and to see her unpack that piece and to leave behind something so tangible for us to build on was just amazing. So thank you for doing the work you do. Deborah Delisle:[Crosstalk] if I can interrupt us one time. You know, the fact that she was teaching, you were talking about professional learning for both educators as well as kids, I never really thought about it so succinctly about while you’re teaching educators about how the brain actually works, but imagine anyone of us as a student thinking like, oh, maybe I can like understand now why I feel this way when I’m in seventh grade. It’s not weird or wacko for me; it’s just the natural progression. But then also to learn some coping mechanisms or some alternate behaviors in response to what’s going on my mind or maybe my parents could understand me better, right, as a seventh grader. Yvette Jackson:There are so many studies now that are done that says when students are more of how the brain works, they become more resilient because they feel that they could have control over their brain, that is not a deficit brain. You know how Cal Dweck talks about that in Mindset, but this goes beyond that. This goes to the kids saying I can take action. Yvette Jackson:But you can do that. That’s part of the [crosstalk]. [Laughter]. Winsome Waite:[Crosstalk]. That’s correct. How exciting. So I did say I’m gonna go to final thoughts, but I want to acknowledge for our viewers that we did not get through all of their questions. I think there are two questions that came up that I think are very important to this work. And it’s around the group of students with learning differences. I did not ask those questions today just because I think those really take deep thinking. I want to promise the audience that we’re gonna come back to that topic later, also, in our body of work, in our papers and other webinar’s. So please be following us for more information around the Science of Adolescent Learning and students with learning differences. So let me turn – I think I’m gonna go in order though. I think I’m gonna ask you, Yvette, first, and then Robyn, and have Deb close us out with final thoughts. Yvette Jackson:The final thought that I would like to share is, again, that importance of including students from the beginning. I just wanna leave by saying, again, I’m working in Newark, New Jersey, and just last week, new superintendent, his goal is to really change the district, to move it from this place of being looked at as underachieving to being hyper achieving. So he just had 250 adolescents working with me around how the brain works. But not just for learning that, but to be able say what are the kinds of things that are important to us that we really expect that if you did them, there would be better equity. Our students have immense, not only potential, but a view of the world, as I say, they are the bellwethers. They can tell us these are the things that are important. Now, it’s up to us to say and we will listen. And that’s what Dr. Leon In Newark is actually doing. Winsome Waite:Thank you for you work there, Yvette. Robyn? Robyn Harper:I’m going to say something that I was inspired by your comment about the language of using the word subgroup. As a person, who most of my work has been data analysis, understanding the human behind the data point it’s going to be absolutely critical for us to really tackle this equity problem. Data has brought us in a very positive direction being able to say we know what we know and there’s inequity, and we can prove it. Look at this data. But I think we’ve relied so much on the date of that we forgot the human behind that point. And I’m hoping that the Science of Adolescent Learning, the Science of Learning, all of this work is going to remind us that there is a person behind the stories of the data are telling. So thank you. I take my charge and I’m very happy to do so. I appreciate being able to stand on the of the shoulders of so many hard work that’s already been going on. Yvette Jackson:And likewise. Like I said, the reports are wonderful. Robyn Harper:Thank you so much. Winsome Waite:Thank you, Robyn. And Deb? Deborah Delisle:So many thoughts running through my mind but I’m gonna take off on something you just said, which is behind every piece of data. So, very often, I am fortunate to be able to speak to lots of educators around the country. And one of the things I always say is that just remember when you’re looking at numbers, there is the heart and soul of a child behind every one of those numbers, right. And those kids are looking to have a number assigned to them. They are looking for somebody who will offer them hope every single day. So as we think about that, especially in this equity space, we need to think about what is it that we have to offer to every child that we want somebody to offer to our own children, right. And not only that, but to the educators who are you engaging in this work, I really want to say congratulations and cheer you on. Our kids will advance when they know we are invested in them. Our kids don’t care if we are Republican or Democrats. We don’t need one more white paper written or one more blue ribbon task force. We have to link arms and engage in this work and such a robust way that that there’s not a doubt any kids mind that any adult interacting with them cares about them, first and foremost, what they want in life and what they should get from each one of us as adults. So I was just reminded of when I was a superintendent in Cleveland Heights, University Heights, we had a fabulous team. We had eight words that guided us every day. Every student, every day, some success, some way. So hopefully we can all bring that together to every student in America. Winsome Waite:…and Robyn and Deb for joining us today. We’ve been discussing how adolescent development affects learning, the implications for policymakers, education leaders, and all practitioners. Stay tuned for the next report in our Science of Adolescent Learning series. It’s called: How Identity and Empowerment Affects Student Learning. We’ll focus quite a bit on agency in that report. For all of our resources that aim to translate and communicate research for action, please visit our webpage at All4Ed dot-org/SAL. And please keep in mind that today’s event will be archived at All4ED dot-org/webinars. I’m Winsome Waite for the Alliance of Excellent Education. Thanks so much for joining us.